The task of restoring Our Lady Star of the Sea (Grade II*) presents issues every bit as challenging as the building is itself visually striking, genuinely rare and architecturally unique. Moreover, the need to refurbish the church provides the parish with the opportunity to tell the story of this fascinating building, about why it is here and at the same time celebrate their shared Christian heritage. 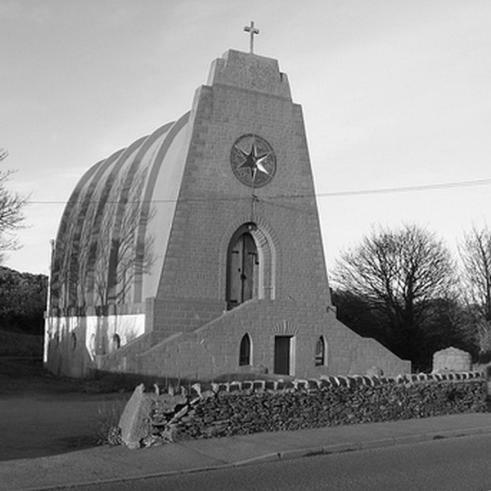 The current proposals aim not only to address the ongoing structural and weathering issues, but, also aim to return the church, as far as is practicable, to its original appearance, that first conceived by its architect, Giuseppe Rinvolucri.